Any criminal charge for arson requires experienced representation. Arson cases often involve detailed chemical analysis, digital images and video analysis. These complicated cases can revolve around expert witness and testimony about how a fire started. Prosecutors often attempt to build cases based on highly circumstantial evidence and speculation. A surprising number of arson cases involve juveniles who are playing with matches or a lighter often out of boredom or curiosity. Other cases involve a more calculated attempt to defraud an insurance company. Florida has a separate statute for burning to defraud an insurer or an insurance company. Never talk to any law enforcement officer, including a member of the Fire Marshall’s Office or an agent with the Bureau of Fire & Arson Investigations, until you have retained an experienced criminal defense attorney to protect your rights. Arson charges are serious and the cases often are complex. If you are charged with arson in North Florida, it is crucial you contact an experienced Tallahassee arson defense attorney to represent you in the case. The criminal defense lawyers at Pumphrey Law have experience representing clients in arson cases throughout Leon County and the surrounding areas of North Florida. The skilled team will aggressively defend you and fight for the best possible outcome. Call (850) 681-7777 to schedule a free consultation. Arson is a second-degree felony, punishable by up to 15 years in prison. If the arson caused damage to any dwelling or structure that normally is occupied, then the crime can be charged as a first-degree felony, punishable by up to 30 years incarceration. Occupied structures can include churches, educational institutions, office buildings, business establishments, department stores, health care facilities, hospitals and nursing homes. Founded in 1975, the FACAP fights arson and insurance fraud throughout the state. The association includes attorneys, investigators, private fire and arson investigators, officers in the Fire Marshal’s office and agents of the Bureau of Fire and Arson Investigations. Visit the website to learn about recent arson-related news from across the state. Learn more about the Annual FACAP Arson Seminar. In Florida, arson cases often are investigated by the Bureau of Fire & Arson Investigations, a Division of the State Fire Marshal. Originally established in 1973, the Bureau of Fire & Arson Investigations conducts fire, arson, explosives and related criminal investigations. On Feb. 12, 2013, it was accredited by the Commission for Florida Law Enforcement Accreditation. Julius Halas currently serves as the Division Director. 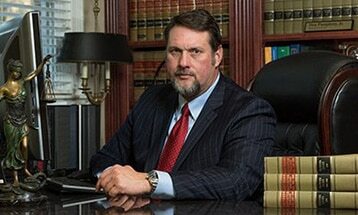 If you have been charged with arson in North Florida, contact an experienced Tallahassee arson defense attorney. The attorneys at Pumphrey Law have the knowledge and experience to aggressively represent clients throughout Tallahassee, Leon County and the surrounding areas of North Florida. Call (850) 681-7777 to schedule a free consultation.